Simple, but rational and more practical constructions. Table type and combinatorial design saves place and convenient for transportation. Adjustable double-spring devices are available for screen frames of different weight. 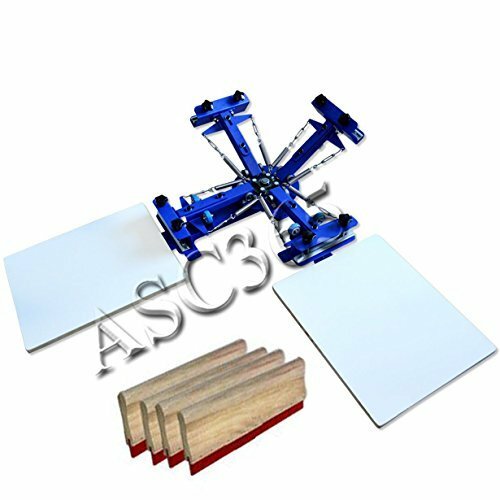 Screen clamp can be moved up and down, which is suitable for screen frame within 1.2" (3cm) thickness. Big supporting device keeps the machine stable and in balance. All-metal construction, advanced electrostatic spraying and electroplating, durable, easy to clear and no rust. If you have any questions about this product by Screen Printing Equipment, contact us by completing and submitting the form below. If you are looking for a specif part number, please include it with your message.